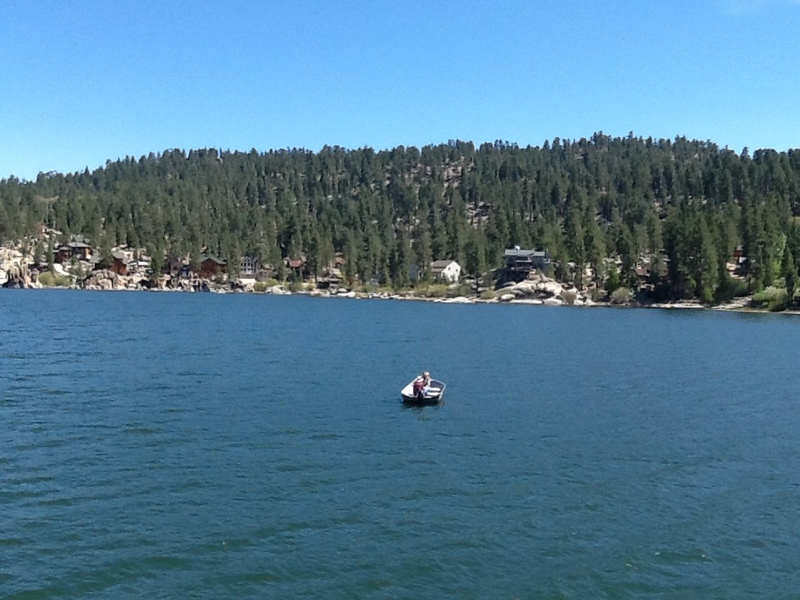 Our blog last week was chock full of things to do around Big Bear Lake for the first half of the month. This week we continue our look at all of the major events going on in June. And this is just the big stuff! Here’s what to expect from the weather this week. The Big Bear Lake region has a rich history and there are many groups that like to bring back the good memories from the past. For the last fourteen years, The Big Bear Cowboy Gathering (June 21-23) has been a wonderfully entertaining reminder of western traditions that linger in the area. You can see a wide variety of entertainment there, from cowboy poets to yodelers. You can even get a badge while you are there to commemorate the weekend. While we are looking back to the past for some wholesome entertainment, C.A.T.S. will be kicking off their presentation of Rogers and Hammerstein’s OKLAHOMA! the weekend of June 21st. It is one of the most influential musicals in American theater, and it will be with us up in the mountains for just three short weeks! Make sure you get your tickets soon, because people “Cain’t Say No” to a show like this. If you love music, Big Bear Lake is the place to be in at the end of June. Not only do we have all the regular haunts to see your favorite local bands, but a wide variety of genres and events will be here all through the end of the month. We mentioned the JazzTrax Summer Music Festival in last week’s blog as a teaser. Three days of great jazz bands will take place during the very busy weekend of June 21. The festival starts off on Miss Liberty that evening and runs until Sunday afternoon! The last weekend in June brings big musical tributes to some of the best bands around. The Music in the Mountains 2013 concert at the Big Bear Discovery Center Amphitheater will be the big draw for the weekend. They will be presenting the “Classic Harmony Tour”, featuring tribute bands dedicated to The Eagles, John Fogerty, and America. Mrs. Robinson and her unique style of music will be at The Cave on June 28; True Crue, a Motley Crue tribute band, and Hurrikane, a Scorpions Tribute band will be at The Cave on June 29. Go outside and get some fresh air and time in nature while you’re here! Round three of this year’s Aaron’s Big Bear Bass Tournaments will be going on June 22. In case you were not able to attend the Fishing for $50K Trout Derby, this is another chance to win some prizes while doing something you love. The second event in the Conquer the Bear series of mountain challenges rounds out the month: Paddle the Bear! If you are a kayaker, canoer, or stand-up paddler (SUP), here is a chance to see what you are made of. There are 5K, 10K, and 20K routes around the lake, as well as some vendors and clinics in case you want to step your game up. It is a big challenge to do all that at almost 7000 ft. Are you up to it? There you have it! If you have energy left there’s also golfing , The Big Bear Zoo, and Sky Chair rides. We are waiting here for your reservations so you can get your next great vacation started. Keep any eye on our Facebook page and here on the blog for discounts and upcoming announcements. See you soon! Gallery | This entry was posted in What to see and do and tagged big bear lake, boating, cabins, events, family, fishing, Fishing Tournament, fun, heritage, history, holiday events, holidays in Big Bear, jazz, lake, music, musicians, nature, Old Miners, outdoors, parades, Sky Chair Ride, summer, The Cave, tribute bands, trout, vacation, water sports, weather, What to Do, workout, zoo. Bookmark the permalink.